The forklift towable salt spreader is perfect for towing behind vehicles with standard ball hitch or towing pins. 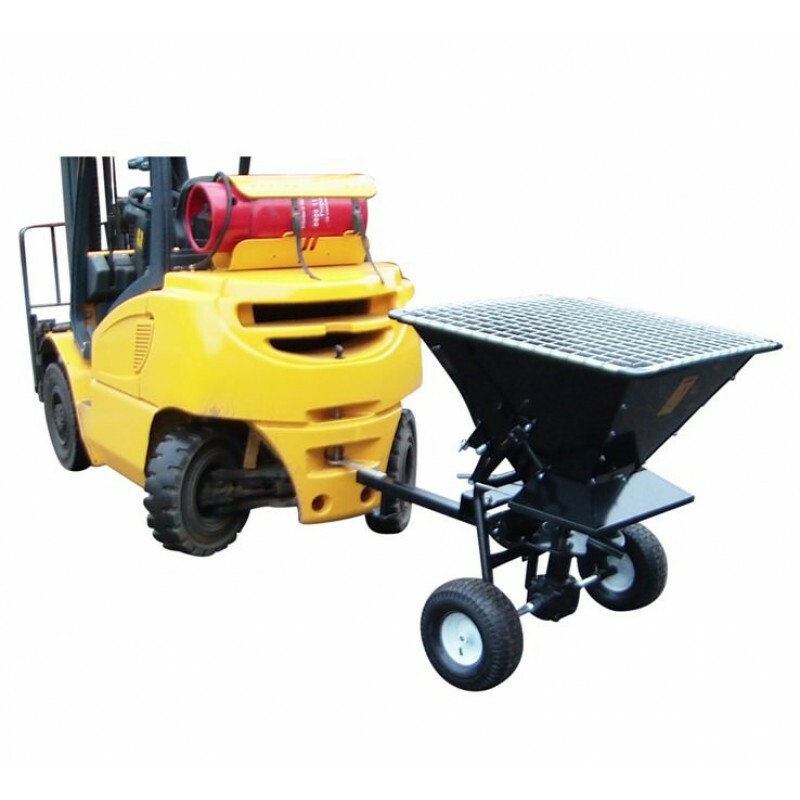 With no electrical or auxiliary valve connection required to the forklift, this mechanically driven salt gritter is simple yet effective to use for all ice gritting applications. With a large 190 litre capacity hopper and flow control lever, our forklift towable salt spreader will ensure your operations keep moving during the winter months. An added benefit of our forklift towable salt gritter is that during the summer months, the unit can also be used as seed, fertiliser or grass spreader. 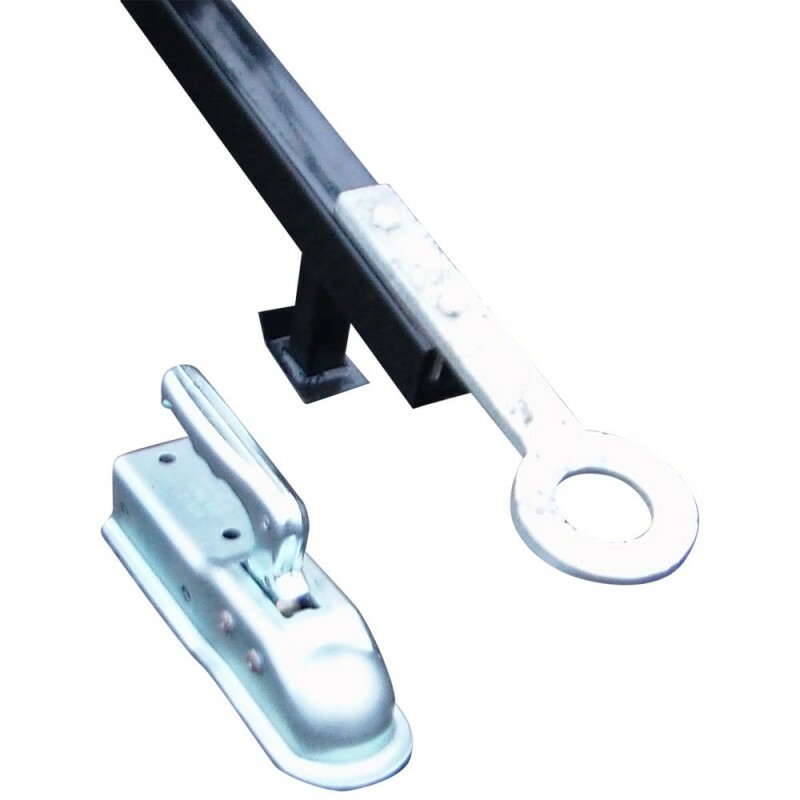 Like all our forklift attachments, this forklift salt gritter comes supplied fully tested and certified for compliance with the latest Health & Safety Regulations. How is the spreader powered ? It's 100% mechanical in operation (axle driven), so no electrical or hydraulic connection is needed. Can I use the spreader for seed spreading in the summer ? Can the salt spreader be used on a Land Rover ? How do I know that the salt spreader is high enough to fit to my vehicle ? Is there a cover supplied with the spreader to keep the salt dry ? I need to push the salt spreader through a doorway, what is the widest point ? What is the weight of the salt spreader ?